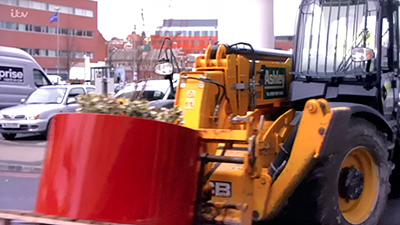 The Manchester Royal Children’s Hospital is the largest children’s hospital in the country, and they have had a particularly difficult twelve months with the Manchester Arena/Ariana Grande Manchester bombings which took place last May. Many children and their families were treated at the hospital and still continue to be looked after there. 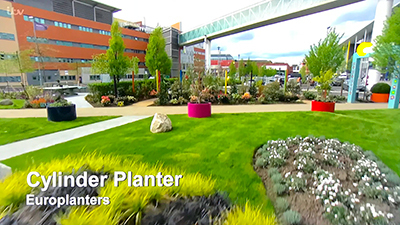 After receiving several letters from children with long term illnesses who were being treated at the hospital and in the 70th anniversary year of the NHS, ITV’s Love your Garden with the help of the children designed a plan to transform an area of grass outside the entrance of the hospital into an amazing garden and space for children to play. 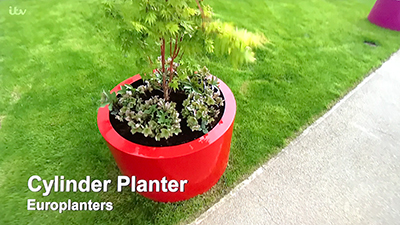 The organisers of the programme had seen the planters that fit the design on Europlanters website and knew that the Europlanters factory was local to Manchester so contacted us in March for help. 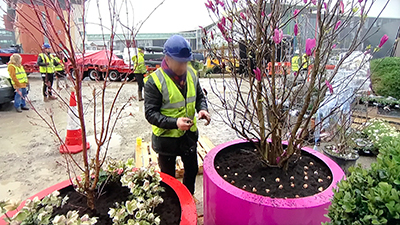 Alan Titchmarch and his team were looking for some large planters, in bright colours, to go in the social area & fill the gardens with life and colour! 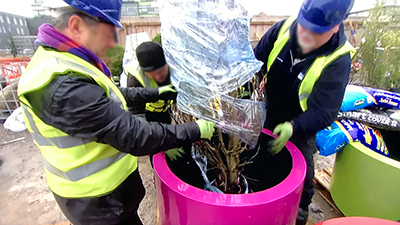 The Show was to be aired in May so time was critical and the Europlanters team began production of six huge cylinder planters straight away so they could meet the tight deadline and deliver them in time for the show. Many of the patients felt previously they couldn’t go outside as there wasn’t anywhere for them to play. But now, they can enjoy the space with their families. The garden is in a public space, so the staff from the hospital and visiting members of the public can also benefit and enjoy the space. This programme aired on 22nd May 2018 on ITV @ 8:00 pm.